This Article is brought to you for free and open access by Northwestern University School of Law Scholarly Commons. It has been accepted for inclusion in Northwestern Journal of Technology and Intellectual Property by an authorized administrator of Northwestern University School of Law Scholarly Commons. Seton Hall University Distinguished Research Professor of Law. The author would like to thank Professors Michael Abramowicz, Barton Beebee, Gaia Bernstein, Graeme Dinwoodie, Brett Frischmann, Glynn Lunney, Richard Murphy, Frank Pasquale, Jon Romberg, and Roger Schechter as well as his Trademark Theory seminarians for helping clarify his thinking on these issues. He wishes to express special appreciate to Charlie Sullivan for his careful reading and inquiring mind. 1 According to conventional theory, when mark holders invest in trademarks, they create goodwill that leads to greater profits from sales of their goods and services. Mark holders invest in trademarks through maintaining consistent quality and characteristics of their products and services and advertising that informs consumers about their products’ qualities or, at least, informs consumers about their products’ availability. Consumers benefit because they can rely on familiar marks to locate satisfactory goods and services. Competition is enhanced because new entrants to a market can also invest in trademarks that will attract new customers to the qualities and characteristics of their own goods. Competition lowers prices. Everyone benefits. Investing in and protecting the signals conveyed by trademarks benefits suppliers and consumers. See generally Nicholas S. Economides, The Economics of Trademarks, 78 TRADEMARK REP. 523 (1988). See also WILLIAM M. LANDES & RICHARD A. POSNER, THE ECONOMIC STRUCTURE OF INTELLECTUAL PROPERTY LAW 167-68 (2003) [hereinafter LANDES & POSNER, ECONOMIC STRUCTURE]; William M. Landes & Richard A. Posner, The Economics of Trademark Law, 78 TRADEMARK REP. 267, 276-77 (1988) [hereinafter Landes & Posner, Economics of Trademark]; William M. Landes & Richard A. Posner, Trademark Law: An Economic Perspective, 30 J.L. & ECON. 265, 268-70 (1987) [hereinafter Landes & Posner, Economic Perspective]. Because exclusive rights in trademarks support investing in trademarks and in reputation, trademark rights create incentives for manufacturers to develop high quality goods. See Dan L. Burk, Trademark Doctrines for Global Electronic Commerce, 49 S.C. L. REV. 695, 696 (1998) (asserting that trademark protection enhances the quality of goods and services); Laura A. Heymann, The Birth of the Authornym: Authorship, Pseudonymity, and Trademark Law, 80 NOTRE DAME L. REV. 1377, 1414 (2005) (“The law grants protection to trademarks to ensure the reliability of these source indicators and, relatedly, to encourage companies to produce goods of consistent quality under a particular mark.”); Hannibal Travis, The Battle for Mindshare: The Emerging Consensus That the First Amendment Protects Corporate Criticism and Parody on the Internet, 10 VA. J.L. & TECH. 3, 106 (2005) (asserting that trademark protection assures ability to exploit investment in consistently high product quality). Reference to public goods theory is most common in the legal literature discussing copyright issues. See generally Michael Abramowicz, A Theory of Copyright’s Derivative Right and Related Doctrines, 90 MINN. L. REV. 317 (2005) [hereinafter Abramowicz, Derivative Rights]; David J. Brennan, Fair Price and Public Goods: A Theory of Value Applied to Retransmission, 22 INT’L REV. L. & ECON. 347, 351-355 (2002); Dan L. Burk, Muddy Rules for Cyberspace, 21 CARDOZO L. REV. 121 (1999); John Cirace, When Does Complete Copying of Copyrighted Works for Purposes Other than for Profit or Sale Constitute Fair Use? An Economic Analysis of the Sony Betamax and Williams & Wilkins Cases, 28 ST. LOUIS U. L.J. 647 (1984); Peter Eckersley, Virtual Markets for Virtual Goods: The Mirror Image of Digital Copyright?, 18 HARV. J.L. & TECH. 85, 117-18, 139-41 (2004); Shubha Ghosh, Copyright as Privatization: The Case of Model Codes, 78 TUL. L. REV. 653, 657-63 (2004); Raymond Shih Ray Ku, Consumers and Creative Destruction: Fair Use Beyond Market Failure, 18 BERKELEY TECH. L.J. 539 (2003) [hereinafter Ku, Consumers]; Raymond Shih Ray Ku, The Creative Destruction of Copyright: Napster and the New Economics of Digital Technology, 69 U. CHI. L. REV. 263 (2002) [hereinafter Ku, Creative Destruction]; Glynn S. Lunney, Jr., Fair Use and Market Failure: Sony Revisited, 82 B.U. L. REV. 975 (2002) [hereinafter Lunney, Fair Use]; Christopher S. Yoo, Copyright and Product Differentiation, 79 N.Y.U. L. REV. 212 (2004). But see Alfred C. Yen, The Legacy of Feist: Consequences of the Weak Connection Between Copyright and the Economics of Public Goods, 52 OHIO ST. L.J. 1343 (1991) (arguing that copyright protection is not necessary for recoupment of costs for creation of compilations despite predictions of public goods theory). For examples in patent law, see Michael Abramowicz, Perfecting Patent Prizes, 56 VAND. L. REV. 115 (2003) [hereinafter Abramowicz, Perfecting]; Brett M. Frischmann, Innovation and Institutions: Rethinking the Economics of U.S. Science and Technology Policy, 24 VT. L. REV. 347 (2000); Glynn S. Lunney, Jr., Patent Law, the Federal Circuit, and the Supreme Court: A Quiet Revolution, 11 S. CT. ECON. REV. 1 (2004); Craig Allen Nard, Certainty, Fence Building, and the Useful Arts, 74 IND. L.J. 759 (1999). But see Jonathan M. Barnett, Private Protection of Patentable Goods, 25 CARDOZO L. REV. 1251 (2004) (arguing that patentable subject matter does not suffer from non-excludability and that the incentives provided by patent law are not necessary as an incentive to inventive activity); Clarisa Long, Patent Signals, 69 U. CHI. L. REV. 625, 625-26 (2002) (calling the public goods foundation of patent law “the simple view of intellectual property rights”). 3 Speaking of the public goods foundations of copyright theory, Professor Ku identifies the justifications for government intervention as “the obvious public benefits of embodying works of authorship in a tangible medium and the need to protect against the copying that threatens the publication and distribution of works.” Ku, Creative Destruction, supra note 2, at 278. Speaking of patent law, Professor Nard suggests that the government might intervene to prevent the inefficiencies associated with the public goods character of ideas by producing the public good itself (e.g., by establishing government research agencies), by subsidizing the production of public goods (e.g., by funding others’ research), or by creating a market for the good by recognizing property rights in public goods (e.g., by creating patent monopolies). Nard, supra note 2, at 772. 4 See discussion infra Parts IV.A, IV.B. See discussion infra Parts IV.A, IV.B. The one notable scholarly exception to the general consensus that trademarks are private goods is an article by Glynn S. Lunney, Jr., Trademark Monopolies, 48 EMORY L.J. 367 (1999). In a superb article on the lack of economic foundation for the propertization of trademarks, he recognizes in passing that, without legal protection, trademarks are public goods. Id. Lunney fails to appreciate, however, that even with protection, some uses of trademarks have the non-rivalrous character of public goods. Id. at 462-63. The discussion of public goods theory was not central to Professor Lunney’s analysis of trademark law. 6 See RICHARD CORNES & TODD SANDLER, THE THEORY OF EXTERNALITIES, PUBLIC GOODS, AND CLUB GOODS 8 (2d ed. 1996). 7 Id. 8 U.S. Trademark Registration No. 2180758 (filed Sept. 24, 1997). theory of trademarks, notably articulated by Nicolas Economides 13 and adopted by contemporary scholars 14 and a few courts, 15 focuses on how consumers use trademarks and it is sensible to consider those non-rivalrous uses in trademark theory. Treating trademarks as purely private goods obscures the intellectual property foundations of trademarks and the fundamental commonalities shared by trademark, copyright, and patent. This article offers a general theory of trademark law closely aligned with the analysis of copyright and patent using public goods theory to explain how all three areas of intellectual property may be based on the same underlying economics. Rejecting the conclusion that trademarks are purely private goods clarifies the reasons for the creation and protection of trademark rights. It demonstrates a need for incentives to produce trademarks and the search-information they contain that current theory does not recognize and identifies market failures that trademark law does not address. Focusing on the public goods character of trademarks leads to an argument that exclusive rights to trademarks are enforced only to the extent necessary to protect the public uses of trademarks. To appreciate the fundamental nature of trademarks, it is critical to understand how they are used. Scholars viewing trademarks as private goods and ignoring market failures associated with the supply of information about products and their sources presumably consider only the mark owner’s proprietary interest, using the device as a mark. Part II describes other non-proprietary uses of trademarks by consumers, other suppliers, and commentators. It characterizes the most important of these uses as “referential uses.” 66 LAW & CONTEMP. PROBS., Winter/Spring 2003, at 33, 60, 68, citing L. RAY PATTERSON & STANLEY W. LINDBERG, THE NATURE OF COPYRIGHT: A LAW OF USERS’ RIGHTS (1991). See also Yochai Benkler, Free as the Air to Common Use: First Amendment Constraints on Enclosure of the Public Domain, 74 N.Y.U. L. REV. 354, 360 (1999) (stating that “information is ‘in the public domain’ to the extent that no person has a right to exclude anyone else from using the specified information in a particular way”); Jessica Litman, The Public Domain, 39 EMORY L.J. 965, 981 (1990) (citing use of the science in a science book and use of a table from a copyrighted text on bookkeeping as being assigned to the public domain.). The Supreme Court has also adopted this “use” perspective. In Parker v. Flook, 437 U.S. 584 (1978), a patent case, the Court said that “[r]espondent . . . does not seek to ‘wholly preempt the mathematical formula,’ since there are uses of his formula outside the petrochemical and oil-refining industries that remain in the public domain.” Id. at 589-90. In Sony Corp. of Am. v. Universal City Studios., Inc., 464 U.S. 417 (1984), a copyright case, the Court said “[a]ll reproductions of the [copyrighted] work, however, are not within the exclusive domain of the copyright owner; some are in the public domain. Any individual may reproduce a copyrighted work for a ‘fair use’; the copyright owner does not possess the exclusive right to such a use.” Id. at 433. These approaches focus on the public domain as either a collection of resources or of uses of resources over which no individual has exclusive dominion. This article focuses on how trademarks are used by different interests in society, notably, though not exclusively, by suppliers and consumers of goods. No individual has the right to prevent public domain uses. Because trademark law focuses so carefully on the “use” to which words, symbols, and other devices are put, this article includes the uses to which they are put in its definition of the public domain. 13 Economides, supra note 1. 14 See, e.g., Stacey L. Dogan & Mark A. Lemley, Trademarks and Consumer Search Costs on the Internet, 41 HOUS. L. REV. 777 (2004). 15 See, e.g., Ty, Inc. v. Perryman, 306 F.3d 509, 510 (7th Cir. 2002) (“The fundamental purpose of a trademark is to reduce consumer search costs by providing a concise and unequivocal identifier of the particular source of particular goods. The consumer who knows at a glance whose brand he is being asked to buy knows whom to hold responsible if the brand disappoints and whose product to buy in the future if the brand pleases.”). See also Brennan’s, Inc. v. Brennan’s Rest., L.L.C., 360 F.3d 125, 132 (2d Cir. 2004); Union Nat’l Bank of Tex., Laredo, Tex. v. Union Nat’l Bank of Tex., Austin, Tex., 909 F.2d 839, 844 (5th Cir. 1990). Lunney, supra note 5, at 420-39, discusses the problem of designing trademark law under the “second best” circumstances presented by the fact that markets for trademarked products are not perfectly competitive. These circumstances are unrelated to the difficulties presented by the public goods character of trademarks, which would exist even if markets were perfectly competitive. cannot be registered, see Lanham Act § 2, 15 U.S.C. § 1052 (2000 & Supp. 2005) (requiring that marks be capable of distinguishing the goods of the applicant from the goods of others), and marks that have become generic terms lose their trademark status, see Donald F. Duncan, Inc. v. Royal Tops Mfg. Co., 343 F.2d 655, 667 (7th Cir. 1965) (collecting cases of marks that have lost their trademark status due to genericide), competitors may not use even unprotectible terms in a way that causes confusion between themselves and the original mark owner. See Kellogg Co. v. National Biscuit Co., 305 U.S. 111, 119 (1938) (holding that, while the original manufacturer of shredded wheat had no exclusive right to use the term in labeling it breakfast cereal, competitors had an obligation when using the term “to identify its own product lest it be mistaken for that of the plaintiff”). See also American Thermos Prods. Co. v. Aladdin Indus., Inc., 207 F. Supp. 9, 14-15 (D. Conn. 1962), aff’d sub nom. King-Seeley Thermos Co. v. Aladdin Indus., Inc., 321 F.2d 577, 581 (2d Cir. 1963) (holding that “thermos” was generic and could legally be used by defendant with only modest restrictions designed to prevent confusion). 27 Lanham Act § 33(b)(4), 15 U.S.C. § 1115(b)(4) (2000 & Supp. 2005) (permitting use “otherwise than as a mark” of terms used descriptively and in good faith). 28 See Copyright Revision Act of 1976, 17 U.S.C. § 302(a) (2000) (creating a general rule that the term of copyright is limited to the life of the author plus 70 years from his or her death); Patent Act § 532(a)(2), 35 U.S.C. § 154(a)(2) (2000) (creating a general rule that the term of a patent ends 20 years from the date on which the application for the patent was filed in the United States). 29 17 U.S.C. 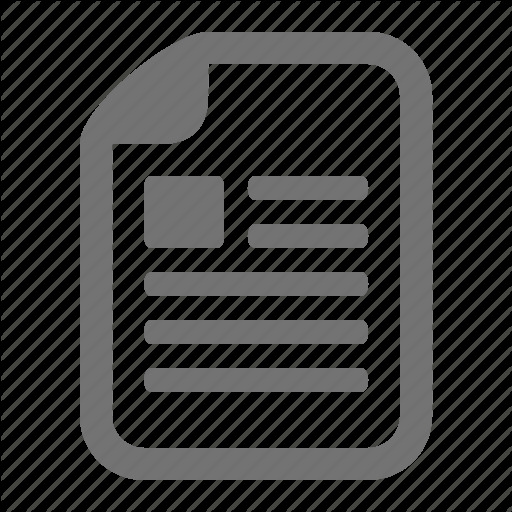 § 107 (2000) (listing four factors to be considered when determining whether an otherwise infringing use was considered a non-infringing fair use). 30 See Harper & Row, Publishers, Inc. v. Nation Enters., 471 U.S. 539, 566 (1985) (stating that the effect on the market was “undoubtedly the single most important element of fair use”). 31 See Poppenhusen v. Falke, 19 F. Cas. 1048, 1049 (S.D.N.Y. 1861) (stating that the law was “well settled . . . that an experiment with a patented article for the sole purpose of gratifying a philosophical taste, or curiosity, or for mere amusement, is not an infringement of the rights of the patentee”). The Patent Act has since been amended to include an additional narrow exception for uses related to development and submission of information under a federal law regulating the manufacture, use, or sale of drugs or veterinary biological products, 35 U.S.C. § 271(e) (2000). 32 U.S. Trademark Registration No. 0978952 (filed Jan. 31, 1972). 33 U.S. Trademark Registration No. 2149732 (filed May 28, 1996). their experience with the brand. Either method of recalling or identifying a desired good is a referential use of the mark. A second sort of information a mark may contain is information about the characteristics and qualities of the product itself. This may also occur in two ways. First, as with the source-indicating information, a suggestive or descriptive mark itself may disclose information about the product, even if it hides the actual source. MR GOODWRENCH 34 suggests something about the character of the services provided by the user of the mark, that perhaps it involves repairs of mechanical devices. The primary commercial impression of the Speedy Burrito 35 mark, even in a drawing, might be a direct description of a characteristic of the restaurant using it in connection with fast food. Second, experience with a source or a particular mark, even if the mark is arbitrary or fanciful, may convey information. Consumers may find all cereals marked with the Quakers Oats Company mark 36 too sweet or all automobiles labeled with the Mercedes mark 37 too expensive. Like source information, product information disclosed by the mark, whether directly or indirectly, whether desired by the mark owner or not, comes through referential use. Finally, either source or product information may be associated with a mark through advertising. Advertising tacks additional information onto marks. This information is luggage that the mark carries on its travels along the stream of commerce. GM’s “CADILLAC” means “luxury” not just because of people’s experiences with the car or because of any pre-trademark use of the term, but because GM constantly tells consumers that “CADILLAC” means “luxury.” The search information loaded onto the mark by all of these routes increases the utility of the mark, providing, of course, the information is accurate. The richness and quality of the stock of marks available for referential use is contingent, however, on the success of mark owners in creating a strong device/product link. Because the value of the referential use is related to the strength of the proprietary, source-indicating use, the law’s protection of referential uses usually protects the selling value of the mark as well. Trademark laws designed to protect referential uses also protect exclusive proprietary uses, making it appear that trademark law is designed primarily to protect the goodwill of suppliers. If this were true, however, violation would not rest on proof of a detrimental impact on the referential uses of marks. This public use perspective on trademarks suggests a different orientation towards trademark law. Rather than focusing on marks as a means for competing in a market, the public use perspective identifies consumers, competitors, and others as the users of trademarks. Copyright and patent theory explicitly recognizes that the law’s grants of limited monopolies are for the purpose of eventual enrichment of the public domain. Investment in trademarks immediately enriches the public domain by providing resources available for referential use. Trademark law implicitly recognizes this by protecting the 34 U.S. Trademark Registration No. 1065021 (filed Sept. 20, 1976). This mark was registered by the General Motors Corporation for use in connection with the servicing and repair of automobiles. Id. 35 U.S. Trademark Registration No. 2161955 (filed May 15, 1997) (now cancelled). 36 U.S. Trademark Registration No. 0526830 (filed June 11, 1948). 37 U.S. Trademark Registration No. 0285557 (filed Aug. 16, 1929). to perceive marks in their commercial context, without specific regard to the mark owner’s proprietary rights. On the surface, the dilution theory seems most directly aimed at protecting private interests without concern for referential uses or the public domain. 43 It protects mark owners from others’ use of similar marks outside of its market. Infringement and passing off require proof of consumer confusion to demonstrate that an alleged infringer’s use interferes with the referential use of the mark. Dilution theory requires neither proof of confusion nor competition between the parties. From its origins, however, the theory of dilution has always treated trademarks as goods that are congestible outside of their own markets. The logic of dilution is that successive proprietary use by increasing numbers will “whittle away” at the value of the mark. 44 This is the hallmark of a congestible public good. 45 If General Motors has successfully associated CADILLAC with “luxury,” then the referential and customary significance of the term includes the meaning “luxurious.” Sports, Inc. v. Chrysler Corp., 185 F.3d 1084, 1089-90 (10th Cir. 1999); Frehling Enters., Inc. v. Int’l Select Group, Inc., 192 F.3d 1330, 1335 (11th Cir. 1999); Elvis Presley Enters. v. Capece, 141 F.3d 188, 194 (5th Cir. 1998); Shakespeare Co. v. Silstar Corp. of America, Inc., 110 F.3d 234, 241-42 (4th Cir. 1997); Volkswagenwerk Aktiengesellschaft v. Wheeler, 814 F.2d 812, 817-19 (1st Cir. 1987); Co-Rect Prods., Inc. v. Marvy! Adver. Photography, Inc., 780 F.2d 1324, 1330 (8th Cir. 1985); Interpace Corp. v. Lapp, Inc., 721 F.2d 460, 462-63 (3d Cir. 1983); Frisch’s Rests., Inc. v. Elby’s Big Boy of Steubenville, Inc., 670 F.2d 642, 648 (6th Cir. 1982); AMF Inc. v. Sleekcraft Boats, 599 F.2d 341, 348-49 (9th Cir. 1979); Polaroid Corp. v. Polarad Elecs. Corp., 287 F.2d 492, 495 (2d Cir. 1961). All reflect the likelihood that the defendant’s use will obscure the source-indicating information provided by the plaintiff’s mark. Courts give conflicting justifications for including consideration of the likelihood the plaintiff will bridge the gap between its product market and the defendant’s (Factor 7) in their analysis of likelihood of confusion. Some articulate a concern for the mark owner’s goodwill alone. See, e.g., Interpace Corp. v. Lapp. Inc., 721 F.2d 460, 464 (3d Cir. 1983) (citing 2 J.T. MCCARTHY, TRADEMARKS AND UNFAIR COMPETITION § 24:5) (1973). Others focus more clearly on the consumer’s interest and ask whether consumers are likely to assume, correctly or not, that a mark owner has diversified into a related line of products and believe that the plaintiff and the alleged infringer are related companies. See Lambda Elecs. Corp. v. Lambda Tech., Inc., 515 F. Supp. 915, 926 (S.D.N.Y. 1981). Some circuits that do not include Factor 7 consider the likelihood of expansion to be covered adequately by Factor 2, the relatedness of the parties’ goods or services. See, e.g., Planetary Motion, Inc. v. Techsplosion, Inc. 261 F.3d 1188, 1201 (11th Cir. 2001). In these latter cases the focus is on the likelihood of confusion and protection of the referential public domain rather than mark owners’ proprietary interests. The Restatement (Third) of Unfair Competition also takes a referential use rather than a proprietary use perspective on Factor 7. See RESTATEMENT (THIRD) OF UNFAIR COMPETITION § 21(e), cmt. j (1995). This second approach seems more appropriate from a public domain perspective because it focuses on protecting the quality of the referential public domain. 43 The Lanham Act is designed to prevent “the lessening of the capacity of a famous mark to identify and distinguish goods or services.” 15 U.S.C. § 1127 (emphasis added). Frank Schechter, an early proponent of the dilution theory, asserted that “the vast expenditure in advertising” associated with making a mark famous justified the mark’s protection from noncompeting uses. See Karyn K. Ablin & Anil Koshy, A Matter of Opinion: Deciphering Dilution Under the Federal Trademark Dilution Act, 20 MISS. C.L. REV. 61, 67 (1999) (quoting Frank I. Schechter, The Rational Basis of Trademark Protection, 40 HARV. L. REV. 813, 831-32 (1927)). The legislative history of the Lanham Act dilution provisions also reflects this concern: “The concept of dilution recognizes the substantial investment the owner has made in the mark and the commercial value and aura of the mark itself, protecting both from those who would appropriate the mark for their own gain.” H.R. REP. NO. 104-374, at 3 (1995) (quoting report prepared by Congressman Morehead, Chair of the Committee on the Judiciary). Even the Supreme Court agrees that “[u]nlike traditional infringement law, the prohibitions against trademark dilution . . . are not motivated by an interest in protecting consumers.” Mosely v. V Secret Catalogue, Inc., 537 U.S. 418, 428 (2003). 44 See Ringling Bros.–Barnum & Bailey Combined Shows, Inc. v. Utah Div. of Tourist Dev., 170 F.3d 449, 456 (4th Cir. 1999). 45 See supra text accompanying notes 11-12. For further elaboration on this concept, see Part III.E, infra. This article argues that trademarks are a species of public good, in particular, mixed public goods. Proprietary uses of marks are in some cases rivalrous and in others congestible. Referential uses are non-rivalrous with one another and with proprietary uses. Considering trademarks as purely private goods is an oversimplification. This part lays the economic foundation for appreciating the market failures associated with the provision of trademarks. From a public goods perspective, the market failures associated with trademarks are identical in kind, if not degree, to the market failures associated with patent and copyright law. Public goods theory demonstrates that the market failure justifying government intervention in the regulation of trademarks is the same as the justification for regulating copyrights and patents. For all three substantive areas, there exists both the defining nonrivalry characteristic of public goods and non-excludability. Both non-rivalry and nonexcludability interfere with market’s provision of an optimal supply of creative work. This part focuses on the nature of public goods and the market failures associated with them. The characterization of trademarks as public goods is distinctly contrary to contemporary wisdom. A. Non-Rivalry and Pure Public Goods. Paul A. Samuelson, The Pure Theory of Public Expenditure, 36 REV. ECON. & STATISTICS 387 (1954) [hereinafter Samuelson, Pure Theory]; Paul A. Samuelson, Diagrammatic Exposition of a Theory of Public Expenditure, 37 REV. ECON. & STATISTICS 350 (1955); Paul A. Samuelson, Aspects of Public Expenditure Theories, 40 REV. ECON. & STATISTICS 332 (1958). 51 See Head, supra note 9, at 179. 52 There is a long history of applying public goods theory to intellectual property law. For intellectual property articles laying out the foundations of the theory of public goods and its intellectual origins, see Brett M. Frischmann, An Economic Theory of Infrastructure and Commons Management, 89 MINN. L. REV. 917, 939-56 (2005) (discussing public goods theory and comparing impure public goods), Lunney, supra note 5, at 441 & nn.267-270 (referring to the history of the development of public goods theory), and Yen, supra note 2, at 1365-69. Without compensation, they will produce too little of the public good, thus failing to satisfy the demands of some who would be willing to pay for that production and creating a deadweight loss. But charging a positive price may exclude some users who would benefit from the supply, again resulting in deadweight loss due to less than the optimal amount of resources being devoted to supply of the public good. 65 The challenge to public policy arising from the static/dynamic dilemma is to optimize access, which minimizes the deadweight loss associated with pricing above marginal cost, while providing incentives to encourage the supply of public goods, minimizing the deadweight loss associated with undersupply due to lack of profitability. 66 This is precisely the dilemma confronted by copyright and patent law. Once produced, one person’s use of an idea does not generally interfere with the benefits another derives from his or her own use of the same idea. It can simultaneously be made available to all. From a short-run, normative perspective, everyone ought to have free access to those ideas embodied in expressions and innovations. But if creators of ideas are not compensated, insufficient resources will be devoted to creative activity and disclosure of the results. Two rules summarize the theoretical conditions that must be met for efficient allocation of resources to the supply of any good. First, the quality of the good supplied should increase until the additional benefit is equal to the marginal cost. Second, producers of goods should be able to cover their total costs. For public goods, it is impossible to satisfy both the static and dynamic conditions simultaneously. If we follow the first rule, pursuing static efficiency and setting a price equal to marginal cost, we cannot follow the second dynamic rule, making sure producers get paid. If we follow the second rule and permit suppliers to charge enough to cover their costs, we cannot price according to marginal cost. The inability to satisfy both conditions means that a restricting access to reap dynamic efficiency gains.”). 65 This dilemma is described as the conflict between short run or static efficiency and long run or dynamic efficiency. See, e.g., Brennan, supra note 2, at 354-55. See also Abramowicz, Perfecting, supra note 2, at 172-73 (discussing the provision of public goods in the intellectual property context). Professor Glynn Lunney recognizes that this problem exists in the context of copyright law: As economists have recognized, using a system of exclusive rights, such as copyright, to ensure an appropriate supply of a public good through private markets creates a Catch-22 situation. In the absence of copyright, if markets were perfectly competitive, there would be no economic incentive to produce works of authorship. When a new work was introduced, competitors would instantly copy it, price would be driven to the marginal cost of additional copies, and the work’s author would receive no economic profit or rent to cover her initial authorship costs. Given the absence of an economic incentive to produce such works, too few works would be created. In the absence of copyright, perfectly competitive private markets would not therefore ensure an optimal allocation of resources. On the other hand, if we grant the author a legal right to prohibit unauthorized copying, thereby enabling her to set a price for her copies somewhat above their marginal cost, then the author will earn some economic rent and have a corresponding incentive to create the work. However, absent an ability to price discriminate perfectly, pricing above marginal cost will deny some consumers access to the work, creating a deadweight welfare loss. Because of this deadweight loss, private markets for copyrighted works will also fail to achieve a Pareto optimal allocation of resources. Lunney, Fair Use, supra note 2, at 994-95 (citations omitted). 66 See JAMES M. BUCHANAN, THE DEMAND AND SUPPLY OF PUBLIC GOODS 179-82 (1968) (describing consumption clubs as a means for privately resolving this dilemma); James M. Buchanan, An Economic Theory of Clubs, 32 ECONOMICA 1 (1965) (extending the pure theory of public goods to a theory of cooperative membership in clubs). The market failure in the provision of public goods arising from the conflict between static and dynamic efficiency does not depend on whether it is possible to exclude people from using the resource. Even if a supplier can easily exclude some users by charging a positive price and even if that revenue is enough to cover its costs, the static efficiency goal is not met. Paul Samuelson observed that this conflict means that a competitive market cannot logically yield a solution to this dilemma. 67 This is a market failure associated with public but not private goods because the marginal cost of a private good is not zero and suppliers in a competitive market will be able to cover their costs. 68 The difficulty of finding a compromise price that optimizes static and dynamic efficiency is compounded by non-excludability, a characteristic that may be associated with either private or public goods. 69 Non-excludability raises two efficiency concerns. The first is that producers may be unable to cover their total costs if unable to collect payment from those who benefit from their activity. This dynamic concern is related to the static/dynamic dilemma resulting from non-rivalry. The second efficiency concern arising from non-excludability is demand revelation. When people can enjoy the benefits of the provision of a good (public or private) without payment, there is no mechanism, such as a market, that encourages people to reveal how much they would be willing to pay to use the good. A market obtains this information by providing the good only to those willing to pay the asking price. Only by knowing people’s preferences for goods can a market or policy maker determine the optimal amount of the good to produce. A competitive market accomplishes this by increasing the supply of goods until all those willing to pay more than the marginal cost of supply are satisfied. Those unwilling to pay that amount are excluded. Samuelson, Pure Theory, supra note 50, at 388 (“[N]o decentralized pricing system can serve to determine optimally these levels of collective consumption.”) (emphasis omitted). 68 CORNES & SANDLER, supra note 6, at 23. 69 See ADAM GIFFORD, JR. & GARY J. SANTONI, PUBLIC ECONOMICS: POLITICIANS, PROPERTY RIGHTS, AND EXCHANGE 32 (1979) (“A characteristic of some public goods (and some private goods) is that, once the good is produced, it is extremely costly to prevent individuals from consuming the good.”). Economists sometimes classify public goods that are excludable as “club goods” and define public goods as those possessing characteristics of both rivalry and non-excludability. See, e.g., CORNES & SANDLER, supra note 6, at 23. Professor Brennan observes that “whether the attribute of non-excludability is necessary for a good to be classified as a ‘public good’ has been a matter of controversy in economics,” but points to increasing acceptance of the conclusion that non-rivalry is the defining distinction between public and private goods and the practice of categorizing public goods as either excludable or non-excludable. Brennan, supra note 2, at 350. In a lawless society, 70 people who invest in resources face greater costs of excluding those who do not pay from the benefits of their productive activity, whether the investors are growing corn, enjoying the exclusive possession of their land, writing songs, or inventing. Without the ability to exclude others, producers of any type of good cannot fully internalize the benefits associated with their investments by charging consumers for it and excluding those who do not pay. 71 This may prevent producers from earning sufficient returns on their investment in producing resources, whether those resources are public or private in character. This dynamic efficiency concern is traditionally addressed by recognizing exclusive property rights to the goods produced. Private property rights facilitate enforcement by establishing who may exclude whom. Backed by the government’s enforcement powers (courts and cops), the law addresses the non-excludability problems for private goods such as crops and land. Some intellectual property is excludable, suggesting that it is the non-rivalry characteristic that distinguishes public goods such as ideas from private goods. Valuable ideas and information can sometimes be kept secret by their creators. No one has ever seen the many novels that people start but never finish. Charles Darwin kept his theory that natural selection was the mechanism for evolutionary adaptation secret for twenty years before publishing On the Origin of Species. 72 Businesses keep commercial processes and formulas secret and exclude others from the benefits of that information. For trade secrets, the dynamic inefficiency created by people using their ideas without paying is reduced by state trade secret law’s prohibitions against improper means of discovering secret ideas and information. Trade secrets may be intellectual property’s best example of an excludable public good. While the excludability of trade secrets may solve the dynamic inefficiency problem, keeping ideas and information secret interferes with the static efficiency goal of making it freely available to all whose use imposes no costs on others. The example of Darwin’s secret both illustrates impediments to the advance of science arising from non-disclosure of ideas and the non-rivalry of uses of ideas. Copyright, patent, and trademark law encourage the disclosure of information by granting limited legal monopolies 73 and disclosure aids static efficiency if use is free. Dynamic efficiency is enhanced by the monopolies, but static efficiency may suffer from the 70 Brennan, supra note 2, at 356 (describing non-excludability as a function of the cultural milieu more than the inherent characteristics of a good: “It may be prevailing laws and social norms dictate characterization as excludable or non-excludable, and if excludable, the nature or degree of excludability.”). 71 GIFFORD & SANTONI, supra note 69, at 33. 72 Charles Darwin, ON THE ORIGIN OF SPECIES (1859). See also Charles Darwin, The Autobiography of Charles Darwin 1809-1882 7 (Nora Barlow, ed. W.W. Norton & Co. 1993) (1958), available at http://www.darwin-literature.com/The_Autobiography_of_Charles_Darwin/7.html. The author thanks evolutionary ecologist Dr. Sylvan R. Kaufman for this illustration. 73 Copyright law requires registration before an infringement suit can be instituted. 17 U.S.C. § 411 (2000). Patent law has an explicit requirement that the application contain an enabling specification that discloses the invention, 35 U.S.C. § 112 (2000). By these actions, authors and inventors make the information available to the public, even if full and free access by the public is not available until the copyright or patent term expires. Similarly, without a bona fide use in commerce in connection with specific goods, a trademark cannot contribute to the stockpile of communicative devices by establishing a referential meaning or be protected by common law or statutory trademark law. 15 U.S.C. § 1051 (2000 & Supp. 2005) (requiring use in commerce). 74 Samuelson, Pure Theory, supra note 50, at 389. The term “Lagrangean multiplier” “refers to a mathematical optimization technique which in this context could give information about true preferences.” See Head, supra note 9, at 179. 75 This motivation is similar to people’s incentive to be free riders, taking advantage of others’ creative activity without incurring the associated costs, which some scholars find to be particularly troubling in the case of trademarks. Professor Vincent Chiappetta observes: Regarding relative amounts of free riding, trademarks carry an exceptionally high exposure to free riding, being extraordinarily susceptible to quick, easy, cheap, and effective appropriation. As they are intentionally broadcast to the general market, the marks and their relative power are readily identifiable. Appropriation requires only the insignificant cost of copying the mark. Finally, the inherent communication function of a trademark means that no additional effort is required to divert the consumer’s attention to the appropriator’s alternative offering. These characteristics will not only generally favor the take option in “take versus make” decisions, but when increased creator investment positively correlates with resulting communicative ability, will affirmatively induce appropriation of those marks whose creation most depends upon incentives. Vincent Chiappetta, Trademarks: More than Meets the Eye, 2003 U. ILL. J.L. TECH. & POL’Y 35, 61-62 (2003). Both the demand revelation problem and the need to create incentives for suppliers of the source and product information contained in trademarks arise from the inability of suppliers to exclude users of a resource. On the valuation problems associated with public goods and non-excludability, see Brennan, supra note 2, at 367. 77 17 U.S.C. § 106 (2000). 78 Madey v. Duke Univ., 307 F.3d 1632 (Fed. Cir. 2002) (“[S]o long as the act is in furtherance of the alleged infringer’s legitimate business and is not solely for amusement, to satisfy idle curiosity, or for strictly philosophical inquiry, the act does not qualify for the very narrow and strictly limited experimental use defense.”). intensive use of a congestible public good may be cumulative (gradually increasing congestion as more simultaneous homogeneous users appear) or cataclysmic (no effect until the number of simultaneous homogenous users reaches a critical size). 84 Alternatively, it may be that certain types of uses are incompatible. Many skiers feel that snowy slopes are ruined by snowboarders and nature-loving cross country skiers feel that they cannot share forest trails with loggers. These heterogeneous uses are at least partially rivalrous. 85 When one person’s use utterly destroys the value of the resource to another, the uses are rivalrous and the good is purely private in character with respect to those users. Goods come in an infinite variety along the dimensions of publicness. A good may be a mixed public good, one type of “impurity,” in the sense that it is congestible or even private with respect to some uses and non-rivalrous with respect to other uses. The forest itself is a congestible public good with respect to some uses and a rivalrous good as between incompatible uses. Increasing numbers of skiers diminish each other’s pleasure in the forest after some point while clear cut logging and bird watching may be rivalrous uses of the forest. Because the definition of public goods depends on the effect of one person’s use on another, the homogeneity or heterogeneity of uses is critical to the question of how to resolve the static and dynamic efficiency concerns associated with public goods. If trademarks are impure public goods, we might expect trademark law to treat different uses differently. Expressions and innovations fit the pure public goods model better than trademarks. Many may simultaneously exploit the ideas embodied in creative expressions and inventions without diminishing the ability of others to exploit them, though scholars have suggested that simultaneous use may diminish the uniqueness of expression and the pleasure derived therefrom by making the expression hackneyed or clichéd. 86 Similarly, the competitive advantage of using a more efficient machine may be diminished if others use the same cost-saving technology. Nevertheless, consumers’ referential uses of trademarks do not generally interfere with one another and therefore reflect a purely public character. Non-competitors’ proprietary uses may interfere with the attractive uniqueness of an owner’s mark, reflecting the characteristic of a congestible public good. Competitors’ proprietary uses of another’s mark are likely to be 84 It may also be that there are unlikely to be enough simultaneous users of a particular good that the point of congestion is ever reached (in effect, giving the good the character of a pure public good). While roads are congestible public goods, the two-lane road through rural Post Mills, Vermont may never get congested because there are too few residents or tourists to interfere with one another’s use. The twelve-lane beltway surrounding Washington DC is congested daily because of the expanding suburban population. These are both examples of potentially congestible public goods. 85 For an economic analysis of heterogeneous clubs, see id. at 1491-92. 86 See William M. Landes & Richard A. Posner, Indefinitely Renewable Copyright, 70 U. CHI. L. REV. 471, 486-87 (2003) (suggesting that if the Disney character “Mickey Mouse” were available for many to use without cost, the value of the character would decline because the public would rapidly tire of the image). Thus, one person’s enjoyment of a print of a certain artist’s work might diminish if everyone had such a print. Similarly, the additional profit a supplier of goods makes as a result of using a particularly efficient patented production method would decline if competitors were allowed to use the technology without charge. These are generally considered to be matters of only distributional consequence rather than allocative efficiency consequence, though in imperfectly competitive markets, the distinction between the distributional effects (pecuniary externalities) and allocative efficiency effects is less clear. See Michael Abramowicz, An Industrial Organization Approach to Copyright Law, 46 WM. & MARY L. REV. 33, 55-56 (2004). incompatible, reflecting the characteristics of private, rivalrous goods. As public goods, trademarks are indeed mixed in character. The nature of use of an impure public good is critical to understanding how to encourage and manage its production and consumption. If trademarks are mixed public goods, public goods theory suggests that consumers’ non-rivalrous referential uses should be encouraged, some non-competitors’ proprietary uses should be prohibited if they are congesting, and incompatible competitors’ uses should be prohibited. Trademark law might be understood as responding to the degree to which various types of uses interfere with one another. F. Market Failure and Impure Public Goods. For a review and summary of the economic literature in this area, see Sandler & Tschirhart, supra note 82. 88 Id. at 1489. When the level of provision of a good is constant, increases in the utilization of the good by an additional member increases congestion or crowding, thereby imposing costs on others that must be considered in balancing whether the additional contribution to the provision of the good by that additional member is worthwhile. Id. The model presented by these authors permits the amount of congestion to vary by the intensity of heterogeneous users’ use (the amount of crowding may differ among individuals), a class of cases of which incompatible uses is an extreme. Id. at 1488 n.14. between these two extremes, though the difficulty of proving actual congestion is well known. 89 Different prices are appropriate for different types of users. As long as there are non-rivalrous users, as there are for trademarks viewed as mixed public goods, the static/dynamic dilemma associated with non-rivalry remains. And, without legal protection, the dynamic efficiency and demand revelation problems associated with non-excludability remain. Public goods theory suggests that the provision of search information to referential users through trademarks may be inefficient due to a potential conflict between static and dynamic efficiency and inadequate demand revelation. The ability of some creators of intellectual property to internalize some of the benefits from their productive activity reduces the dynamic efficiency concerns even if there is no legal protection. There are two reasons why the dynamic market failures may not be as great as the preceding discussion suggests. They relate to the creators’ private incentives to create, to “first mover” advantages, and to the returns those incentives and advantages provide. First, the inability of suppliers to recoup their investment by excluding others from use is mitigated by the fact that creators have some private incentive to create. It is reasonable to assume there will be some level of creative activity even if the resulting ideas are made freely available to all. If poets write to satisfy an inner muse, if songwriters are motivated by a desire to express themselves, if inventors cannot resist tinkering, there would be some level of creative activity without external incentives. These examples are not frivolous. Professor Ray Ku argues that protection of musicians’ rights to prevent copying of their works is unnecessary to provide sufficient incentives because musicians actually earn their livelihoods from live performances and alternative sources of revenue. 90 Similarly, it is a fundamental assumption of economics that manufacturers have internal incentives to devise new processes that lower their costs of production because that allows them to charge a lower price than their competitors or to make a greater profit at the same price and to invent new products. 91 The extent to which this internal incentive covers the investment in creation surely varies from case to case. Internal incentives may be sufficient to cover the costs of creation even while permitting others access to the intellectual property without charge. Even where internal incentives are sufficient, however, this provides no relief to the problem of demand revelation. There is still no way to know the sum of the benefits that individuals, including those who are not charged, derive from production of the public good to determine the optimal amount of supply. Because trademarks are created to signal others, internal incentive to create trademarks is unlikely. Because many referential users never reveal their willingness to pay for the search information, 92 the optimal supply of search information cannot be determined. 89 Moseley v. V Secret Catalogue, Inc., 537 U.S. 418, 434 (2003) (“Whatever difficulties of proof may be entailed, they are not an acceptable reason for dispensing with proof of an essential element of a statutory violation.”). 90 Ku, Consumers, supra note 2, at 567. See also Ku, Creative Destruction, supra note 2, at 308-11. 91 See Glynn S. Lunney, Jr., Patent Law, The Federal Circuit, and the Supreme Court: A Quiet Revolution, 11 SUP. CT. ECON. REV. 1, 56 (2004) (discussing the incentives of innovators in the absence of a patent regime). 92 See Part V.C., infra. See Abramowicz, Derivative Rights, supra note 2, at 352 (discussing the first-mover advantages from innovation). 94 See Rebecca S. Eisenberg, Patents and the Progress of Science: Exclusive Rights and Experimental Use, 56 U. CHI. L. REV. 1017, 1026-27 (1989) (“It is open to question whether it is necessary to endure the output-restricting effects of patent monopolies in order to stimulate invention. In some cases the head start advantage gained by being first in the market with a new invention may provide a sufficient incentive to promote investment in research. Similarly, the need to keep up with the technological progress of market rivals might stimulate invention without further incentives, or non-patent barriers to market entry may give enough protection from competition to make research and development profitable without patents.”) (citing FREDERIC M. SCHERER, INDUSTRIAL MARKET STRUCTURE AND ECONOMIC PERFORMANCE 384-87 (1970); Fritz Machlup, An Economic Review of the Patent System, Subcomm. on Patents, Trademarks, and Copyrights of the Senate Comm. on the Judiciary, Study No 15, 85th Cong, 2d Sess at 23 n. 121, 24 n. 128, 38-39 (1958); Jack Hirshleifer, The Private and Social Value of Information and the Reward to Inventive Activity, 61 AM. ECON. REV. 561 (1971)). 95 Dale D. Murphy, Interjurisdictional Competition and Regulatory Advantage, 8 J. INT’L ECON. L. 891, 917-18 (2005) (describing first mover advantages). 96 Vincent Chiappetta, Trademarks: More than Meets the Eye, 2003 U. ILL. J.L. TECH. & POL’Y 35, 62 (2003). But see Robert P. Merges, One Hundred Years of Solitude: Intellectual Property Law, 1900-2000, 88 CAL. L. REV. 2187, 2207-08 (2000) (discussing the work of business historian Alfred Chandler, who studied how late nineteenth century consumer products firms exploited their first-mover advantage to dominate their industries). According to Chandler, “[a]ll the new enterprises reinforced their first-mover advantages by spending much of the income resulting from the cost advantages of scale on massive national advertising campaigns.” And so were born many of the brands still recognized by consumers today: Quaker Oats, Campbell Soup, Heinz Ketchup, Libby canned vegetables, Proctor & Gamble soap products, Colgate products, Swift meats, and Pabst, Schlitz, and Anheuser Brewing beers. Id. (citations omitted). These first movers presumably were able to exploit their advantages precisely because trademark law enabled them to exclude competitors from proprietary uses of their marks. 97 Dogan & Lemley, supra note 14, at 778; see also Economides, supra note 1 (providing an earlier articulation of the search-cost approach). 98 15 U.S.C. §§ 1051-1127 (2000). 99 Dogan & Lemley, supra note 14, at 787. 100 Id. 101 Id. at 788. Expanding this genre is a recent thoughtful article by Professor Robert Bone, Robert G. Bone, Enforcement Costs and Trademark Puzzles, 90 VA. L. REV. 2099 (2004), which offers an enforcement cost explanation for the structure of trademark law that is built on the assumptions of the search-cost model. Bone offers insightful procedural explanations for the structure of trademark law explaining how the doctrine has developed in a way that minimizes enforcement costs. Professor Bone’s creative enforcement cost theory lays procedural explanations for various doctrines on top of the standard “search-costs” account of trademark. Id. at 2101. Bone’s article does not discuss market failures or the public goods nature of trademarks directly. 103 LANDES & POSNER, ECONOMIC STRUCTURE, supra note 1, at 167-68; Landes & Posner, Economics of Trademark, supra note 1, at 276; Landes & Posner, Economic Perspective, supra note 1, at 268-70. 104 Landes & Posner, Economic Perspective, supra note 1, at 266-68. 105 Id. at 266. Given the normative static efficiency goal that non-rivalrous users should pay a zero price, the reasonable assumption that purchasing consumers pay for search information when they purchase goods should raise eyebrows. Theoretically, we could forbid firms from charging higher prices that exploit the advantages of providing product information through their trademark. This practice, however, might lead to the exact static/dynamic dilemma associated with non-rivalrous goods, as firms would be unable to cover the cost of producing public goods. The next section reveals that the practice of purchasing consumers paying for the trademarking activity turns out not to be a concern. However, the fact that there are some consumers who would buy the good at a lower price that did not include trademarking costs does create a deadweight loss – the static efficiency problem identified in Part III. Landes and Posner’s consideration of the deadweight loss associated with static inefficiency is limited to a discussion of the two extremes of monopoly and excessive competition in the sale of the underlying product. First, monopoly profits and inefficiently small supplies of goods may result from trademarks creating a spurious image of high quality, diverting consumers from lower-price substitutes of equal quality (e.g., Bayer aspirin and Clorox bleach). 118 Second, excessive competition for customers might lead to expenditure on attention-grabbing advertising by competing firms that cancel each other out, leaving consumers no better informed while presenting costs to the firms. 119 Landes and Posner reject both possibilities: first, because they simply assume that trademark law lowers search costs rather than creating social waste and consumer deception (!) and, second, because economics reject this negative view of advertising. 120 Other than proprietary uses, Professor Landes and Judge Posner refer only to customary uses of marks. These are uses of trademarks that transcend their source indicating referential and proprietary uses. The English language is enriched, for instance, by our ability to convey an impression of luxury totally unrelated to automobiles by using the term “Rolls Royce” or “Cadillac.” Recognizing that these terms have descriptive meaning in addition to their source-indicating meaning helps Landes and Posner explain why terms that become generic names for products lose their protection as source indicators. 121 Allowing unrestricted access to generic terms protects customary language. The Landes and Posner model’s narrowness prevents recognition of the contributions trademarks make to referential use. They dismiss this creative contribution by observing that “we do not need trademark protection just to be sure of having enough words” as we need patent and copyright protection to be sure that we have enough inventions and artistic works. 122 Finally, the Landes/Posner model ignores the demand revelation problem associated with non-excludability. Purchasers reveal their preferences for trademarked goods by paying more for goods with marks that convey information about source and product, but other referential users are not excluded from the benefits of trademarking That consumer will be interested not in the formula but in the manufactured product and may therefore be willing to pay a premium for greater assurance that the good will actually be manufactured to the specifications of the formula.”). 118 Id. at 276. 119 Id. 120 Id. at 276-77. 121 Id. at 274. 122 Id. at 275. Professor Lunney’s concern, however, is with the possibility that a commentator’s parodic use of a mark will, by casting the mark in a humorous light, reduce the selling power of the mark and, to that extent, be rivalrous. Lunney, supra note 5, at 462-63. Professor Lunney ultimately concludes that protection of mark owners against such rivalrous uses is not justified. Id. at 463-64. Because he is focused on other issues, he does not address the implications of other (non-artistic) referential uses being non- rivalrous. 142 Lunney, Fair Use, supra note 2, at 994 (quoting Samuelson, Pure Theory, supra note 50, at 387) (citations omitted). 143 See Nard, supra note 2 (discussing the unwillingness of inventors to disclose inventions without patent protection). 144 Shubha Ghosh, Copyright as Privatization: The Case of Model Codes, 78 TUL. L. REV. 653, 660 (2004) (“Theorists use the concepts of rivalry and excludability to create a taxonomy of goods that aid the policymaker in determining the appropriate institutional arrangement for the allocation of a commodity. The categorization of a commodity as private means that a decentralized market mechanism is appropriate. Categorization as public supports government provision.”) (citations omitted). 145 Burk, supra note 57, at 538-39. Burk, supra note 2, at 168 (emphasis added). A statement that is closer to being an accurate description, though still focusing on non-excludability and ignoring the fact that both private and public goods may be non-excludable, is an even earlier reference in which Professor Burk states that “information goods of all types could perhaps be imbued with private goods aspects via technological barriers.” Dan L. Burk, Virtual Exit in the Global Information Economy, 73 CHI.-KENT L. REV. 943, 993 (1998) (emphasis added). 147 Dan L. Burk, Misappropriation of Trade Secrets in Biotechnology Licensing, 4 ALB. L.J. SCI. & TECH. 121, 131 (1994). 148 Dogan & Lemley, supra note 14, at 788. 149 Id. 150 Id. 151 Id. at 805-06.
doctrines in trademark law, 152 and their actual explanations are replete with references to how consumers respond to various practices. In their section on trademark acquisition, transfer, and duration, for instance, their explanation of the structure of trademark law refers to doctrines that foreclose mark owners from transferring marks for deceptive purposes that “so change the nature of the thing symbolized that the mark becomes fraudulent.” 153 From a public goods perspective, this rationale is easily recognized as conduct that interferes with the referential utility of the term. Implicit focus on referential use appears in their explanation of the rule prohibiting “in gross” transfers of trademarks (transfers of rights to marks unaccompanied by the right to make the goods in connection with which the mark is used). Landes and Posner explain that the rule relates to the function of trademarks as signals and the potential for consumers to be misled when the transferor’s signal is used by an unrelated party. 154 From a public goods perspective, this is a rivalrous proprietary use of a resource that may interfere with the benefits people may derive from the public stock of referential meanings of source-indicating devices. V. MARKET FAILURE IN THE DEMAND AND SUPPLY OF TRADEMARKS. The discussion of market failures rests on theoretical assumptions about whether competitive markets produce desirable results. In economic theory, those results are described in terms of whether a competitive market produces the optimal amount of goods. Applied to trademarks, the question is whether government intervention in the market for the provision of trademarks is necessary to provide the optimal amount of search information. Traditional scholars agree that trademark law addresses some of the concerns associated with unregulated competitive markets. Without some degree of government protection of trademark rights, the free riding associated with non-excludability will result in the underprovision of search information. This market failure is associated with public and private goods and is not central to the analysis of market failure associated with the non-rivalrous nature of referential use. Without some ability of mark owners to recoup their investment in marks, which strengthens either the source or product information content of the mark, the dynamic efficiency half of the static/dynamic dilemma is not addressed. Mark owners’ ability to charge a price that includes the cost of trademarking activity addresses this concern. Whether the price is sufficient to cover costs is determined by consumer preferences properly revealed in a competitive market once trademark rights become enforceable. The unaddressed market failures are the static efficiency concern associated with non-rivalry and the demand revelation problem associated with non-excludability. See DAVID W. BARNES & LYNN A. STOUT, CASES AND MATERIALS ON LAW AND ECONOMICS 379-87 (1992) (distinguishing between allocative efficiency and deadweight losses arising from monopoly pricing and the wealth transfer effects of monopoly pricing). 156 Mark A. Lemley, supra note 125, at 997. See August Storck K.G. v. Nabisco, Inc., 59 F.3d 616, 617 (7th Cir. 1995) (describing comparative advertising as a form of competition that is highly beneficial to consumers). See Nitro Leisure Prods., L.L.C. v. Acushnet Co., 341 F.3d 1356, 1362-63 (Fed. Cir. 2003) (applying the refurbished goods rule to used golf balls). 159 Id. 160 See supra note 141. 161 See Campbell v. Acuff-Rose Music, Inc., 510 U.S. 569, 591-92 (1994) (“We do not, of course, suggest that a parody may not harm the market at all, but when a lethal parody, like a scathing theatre review, kills demand for the original, it does not produce a harm cognizable under the Copyright Act.”). 162 See, e.g., Century 21 Real Estate Corp. v. Lendingtree, Inc., 425 F.3d 211 (3d Cir. 2005) (applying the Third Circuit’s nominative use test); New Kids on the Block v. News Am. Publ’g., Inc., 971 F.2d 302 (9th Cir. 1992) (applying the Ninth Circuit’s nominative use test). 163 See New Kids, 971 F.2d at 308. 164 See supra note 62.
units of the good because they are rivalrous. The optimal supply of a private good is determined by equating the sum of the units of a good demanded at a particular price with the marginal costs. 165 Figure 1 illustrates a supplier’s response to the demand signals conveyed to it by consumers. The hypothetical demand curve indicates the responsiveness of would-be purchasers to additional product and source information the mark owner associates with its mark. The marginal cost curve reflects the additional cost of providing incrementally more information. With this information, the mark owner will find it optimal to supply the quantity of information indicated by QPC. The potential purchasing consumers are non-rivalrous referential users. Their demand curve reflects the valuations of all those who would be willing and able to pay the cost of producing the good, though not necessarily the additional cost of trademarking. Because information is a public good (non-rivalrous once produced) all of the purchasing consumers can simultaneously benefit from provision of each unit of information. Thus, the supply of information provided at QPC reflects the willingness of all purchasing consumers to pay for the additional bit of information, which they can simultaneously and non-rivalrously consume. Technically, that supply appears where the marginal rates of substitution for all of the purchasing consumers (the total of their willingness to pay for an additional unit) equals the marginal rate of transformation (the marginal cost of supplying that additional unit). 166 Figure 2 depicts the total demand of all referential and non-rivalrous users, which cannot be determined in the market context because many of these users are not excluded from their use of the mark. While rejecting consumers, competitors, and commentators each would be willing to pay some amount for the information because they attach some value to it, they are not excluded from use and never reveal that information. 167 Because these referential users are also non-rivalrous, each demand curve also reflects the sum of each type of users’ willingness to pay for the information. Because one unit of information can simultaneously be made available to all consumers without one’s use interfering with another, the quantity demanded by each of them should be summed across all types of non-rivalrous users to determine the total amount of information all people taken together are willing to pay for at various prices. The Total Demand curve in Figure 2, which remains unrevealed to the mark owner, indicates that the optimal supply of information is at a higher level than QPC, specifically, Q*. The market fails to disclose to the mark owner, or to any would-be regulator of the market, the optimal quantity of search information that should be produced. The implication is that trademarks contain too little information about products and their sources. The inevitability that suppliers charge buyers of their products for the search information associated with their trademarks means that others are inefficiently excluded from buying goods whose cost of production they can afford. From a static efficiency perspective, resources are misallocated, not enough DIET PEPSI 179 is produced. Scholars have typically analyzed this “pricing power” by focusing on higher prices due to artificial product differentiation and excessive spending on name recognition. 180 The static efficiency concern is, however, broader than these issues. Just as there is a deadweight loss when the public is denied free access for the limited period of legal copyright and patent monopoly, there is deadweight loss associated with the lack of free access to search-information. As for copyright and patent, the trade-off of static inefficiency for dynamic efficiency may be acceptable, but at least in copyright and patent the issue is one that is open for consideration. Second, the failure of many referential users to reveal their demand for search information suggests an undersupply of search information. In particular, potential customers as well as competitors engaged in comparative advertising rely on the search information associated with marks to determine whether the product will meet their needs and/or to make qualitative comparisons between competing products. Because the demand of only a portion of the potential customers and none of other suppliers is revealed, their demand can only be estimated and may be overlooked. That is not to say that we would expect trademark owners to produce more information simply to accommodate their competitors. Rather society would benefit from more information. Intuitively, it is hard to argue that the advertising used to attach information to marks is overly informative. The millions paid for product placement in movies suggests that mark owners are more interested in creating name recognition than supplying search information. 181 More formally, we might say that the failure of advertising to be more informative results from imperfect information about the demand for information. Economists studying trademarking activity and advertising recognize that trademarks can cause consumers to associate the advertised characteristics of a product with a brand. 182 In that way, trademark owners with sufficient incentive could provide informational advertising that helps consumers to identify the merits and demerits of products. There is no such incentive and trademark law does not seem to address the problem at all. VI. CONCLUSION. Public goods theory emphasizes the non-rivalrous character of the uses of some goods. Trademarks have both rivalrous and non-rivalrous uses. The rivalrous proprietary uses are suppliers’ conflicting source-indicating uses that are likely to divert trade, cause (2000). 179 U.S. Trademark Registration No. 0824152 (Feb. 14, 1967). 180 See, e.g., Landes & Posner, Economic Perspective, supra note 1, at 274-75. 181 Burger King reportedly paid $15 million for product placement in the movie Men in Black II. See Smoke Free Movies, http://smokefreemovies.ucsf.edu/ourads/textonly_superman_var.html (last visited Oct. 18, 2006). By one estimation, product placements in 2004 were valued at $360 million. See Supermarket Guru, http://www.supermarketguru.com/page.cfm/25367?CurrentPage=9&archive=1¤tdate=200605-20 (last visited Oct. 18, 2006). 182 Lemley, supra note 171, at 1690.
confusion, and dilute the link between the trademark and the mark owner’s products or services. The non-rivalrous referential and customary uses are by consumers, competitors, non-competitors, and commentators who exploit the communicative value of the device without using it as their own mark. Despite trademark law’s implicit emphasis on the importance of protecting non-rivalrous uses in both infringement and dilution claims, the market failures arising from non-rivalrous uses of a mark are not recognized in the trademark literature. Appreciating the mixed public goods nature of trademarks fills gaps in trademark theory and highlights gaps in the analysis of trademark law’s structure. The following outline suggests how public goods theory relates to the current search cost/competition theory of trademarks. The starred portions reflect the contribution of public goods theory. *1. Non-rivalry creates a static/dynamic dilemma. Charging nonrivalrous users of a public good creates a deadweight loss by excluding some users, but not charging them diminishes suppliers’ incentives to supply, potentially creating a deadweight loss due to underprovision of the good. *2. Non-excludability diminishes suppliers’ incentives and obscures users’ demand for the good. 3. Trademark law allows suppliers to charge for search information by raising the price of their goods to cover associated costs, reducing dynamic inefficiency. 4. By granting exclusive proprietary rights, trademark law increases the provision of search information, goods of consistent quality, and goods of high quality, reducing the deadweight loss associated with dynamic inefficiency. 5. Trademark law increases competition by providing access to words and terms needed for competition and facilitating entry by competitors. *6. By permitting unrestricted, free referential and customary use, trademark law increases the non-rivalrous use of search information, reducing but not eliminating the deadweight loss associated with static inefficiency. *7. Trademark law does nothing to reveal the value many referential and customary users place on search information so does little to ensure that the optimal amount of search information is provided. trademark law. Scholars do not recognize the impure public goods nature of trademark or appreciate the associated market failures. The focus on referential use might also be used to explain the structure of trademark law. In Part II, this article explored the close connection between infringement and dilution claims and non-rivalrous referential use. The scope of geographic rights might also be viewed from this perspective. Without registration, mark owners’ rights are geographically limited to the area within which the mark owner has attempted to establish a referential meaning for the source-indicating device. 183 Similarly, courts give stronger protection to marks with a clearer referential meaning, i.e. arbitrary and fanciful devices with no preexisting link to the product. 184 In addition, focusing on the public goods nature of trademarks highlights the similarities among trademark, copyright, and patent. Part III identified the analytic parallels between trademarks and other forms of intellectual property, emphasizing that it is the non-rivalrous character of the uses of information contained in all forms of intellectual property that leads to a need for government involvement in the market for supplying information. Those parallels suggest further comparisons between intellectual property regimes. One such similarity is the focus of all intellectual property regimes on encouraging creative contributions to the public domain. Trademark law gives stronger protection to marks that contribute more to the stock of linguistic devices, fanciful and arbitrary marks. Copyright and patent law also extends protection in proportion to authors’ creative contributions to the public domain. Authors receive protection only for the copyrightable elements of their works, 185 and patent owners receive protection only for their novel claims. 186 Generic marks, by analogy to copyright law, “merge” with the names of the products in connection with which they are used. 187 Descriptive terms are, by analogy, “thin” marks in the copyright law sense. 188 Fanciful terms are, by analogy, “nonobvious” in the patent law sense. 189 Each of these types of intellectual property has a similar fundamental reason for protection, its contribution to the public stock of ideas and information. There are no trademark rights in those areas where an unregistered senior user’s activities created no significant commercial impression as a source-indicator because it was “so small, sporadic, and inconsequential” that it had failed to established a referential meaning. Sweetarts v. Sunline, Inc., 380 F.2d 923, 929 (8th Cir. 1967), and 436 F.2d 705 (8th Cir. 1971). 184 See, e.g., Virgin Enters. Ltd. v. Nawab, 335 F.3d 141, 148 (2d Cir. 2003) (“The goal of avoiding consumer confusion thus dictates that the inherently distinctive, arbitrary, or fanciful marks, i.e., strong marks, receive broader protection than weak marks, those that are descriptive or suggestive of the products on which they are used.”). 185 See, e.g., Warner Bros. Inc. v. Am. Broad. Cos., 720 F.2d 231, 240 (2d Cir. 1983) (permitting summary judgment in favor of an infringement defendant if the similarity between the works involves only noncopyrightable elements). 186 See 35 U.S.C. §§ 101, 102 (2000) (imposing a requirement that a patentable invention be “new” and defining “novelty”). 187 See, e.g., Kay Berry, Inc. v. Taylor Gifts, Inc., 421 F.3d 199, 209 (3d Cir. 2005) (stating that, when “an author’s expression becomes indistinguishable from the idea he seeks to convey,” the expression and idea are said to merge and the expression is not protectable). 188 See Feist Publ’ns., Inc. v. Rural Tel. Serv. Co., Inc., 499 U.S. 340, 349 (1991) (applying the concept of “thin” copyright to factual compilation with few creative elements and deserving little protection). 189 See 35 U.S.C. § 103 (2000) (denying patents to inventions obvious to a person having ordinary skill in the relevant art). Finally, the theory is a useful analytical tool in the propertization debate. Part IV focused attention on the market failures attending the supply of trademarks as public goods and Part V related the static/dynamic dilemma to the balance between protection of marks and access to marks. In doing so, the theory identifies a need to allow suppliers to recoup expenses that is limited by the need to allow widespread non-rivalrous use. But it does not support rewarding the creation of goodwill or preventing free riding unless the exclusive rights created by expanding protection of trademarks on balance enriches the public domain. The referential use perspective potentially applies to controversial issues such as the extent of protection of trade dress and product design, what it means to “use a mark” in Internet advertising, the significance of post-sale and initial interest confusion, and, as illustrated, dilution law. These applications of the theory are, of course, beyond the scope of this article. Report "A New Economics of Trademarks"